From the Library she headed straight back to the dorm. She sensed some inquisitive gazes from the students she passed along the way, but she ignored them all. If they came to talk to her, she would give a reply, but she had no obligation to respond to simply being looked at. When she entered her room in the dorm, she was greeted by Alisa’s bow. Quite the inflexible one, thought Lilia with a slight frown, when Sakura gave a wry laugh. —It’s the first day back after all. She probably stayed in the room to be ready so that you could return at any time right. Well, it’s also true that she didn’t receive any permission, but even if she did, she probably would have stayed here the whole day anyways. —Am I really that unreliable? —Yup. After two weeks of being a shut-in, you can’t really refute that can you. Since she thought that it was just as Sakura said, she couldn’t rebut. She already had a precedent for becoming a shut-in, so Alisa was bound to be worried. —Besides, you actually did skip out on class too huh! —That was… No, you’re right. She returned her gaze to Alisa. Alisa was worriedly looking at Lilia. Sent off with a bow by Alisa, Lilia entered the bedroom. Closing the door, she headed for the table at the corner of the room. The bookshelf beside the table was probably organised by Alisa, as the learning materials were neatly arranged by subject. —Sakura. I’ll be counting on you today as well. —Alri~ght. Get out the pap~er, get out the pe~n, let’s give it our a~ll! Lilia did as instructed and placed paper and a pen on the table, and while hearing Sakura’s energetic voice, a slight smile leaked out on on her face. She was putting down Sakura’s words on the paper. What she was being taught, currently, was arithmetic. Within arithmetic there was something called an abacus, and listening to random numbers from Sakura, Lilia was calculating the sums in her head. Since they couldn’t prepare the tool Sakura talked about, all of the calculation was done with a mental image instead. Lilia lifted her head upon hearing Sakura’s words. Turning over the paper with various numbers written on it, she turned towards the door. A knock immediately followed. Lilia frowned in doubt. There shouldn’t have been anyone in the school who’d come to visit her. Previously she did have some ‘followers’ of sorts around, but since coming back, there hadn’t been any sign of them either. Lilia eyes widened in surprise. They had just met in the morning after all, so she hadn’t expected her to come visit already. What purpose could she possibly have come for? —No you see Lilia, you can’t be wondering about purpose and stuff. You’re friends right? —What are you talking about, this is the upper class nobles’ floor after all, it’s not a place you can come to just for the reason of ‘vising a friend’ you know. —No, but… Huh? Did Lilia just make more sense than me!? Oh the disgrace! —Hey what are you trying to imply here. While feeling somewhat dissatisfied from Sakura’s remark, Lilia stood from her seat. She went with Alisa to the door of the room. Opening the door, there stood a nervous looking Tina. Still having trouble with the honorifics, thought Lilia, though she decided to not say anything since at least she caught herself midway this time. One way or another, she was starting to see the reason why the Prince came to like this girl. 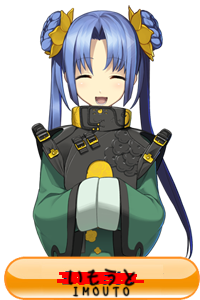 Getting along with someone from the prideful noble bunch in the first place was impossible, but even if that wasn’t the case, this girl was probably very easy to get along with regardless. Seeing Tina adorably tilt her head slightly to the side in confusion, Lilia cheeks twitched. She was aware of Alisa smiling wryly behind her. For some reason she felt a little embarrassed, and her cheeks became tinted slightly red. —Fu. So what I said was correct after all. My win. —Wai-that’s scary Lilia! I was just kidding! Lilia clicked her tongue with a ‘tsk’ in her thoughts, and ‘hii-‘, Sakura let out a frightened voice. Leaving that Sakura alone, Lilia affixed a smile to her face. Tina let out a sigh of relief and nodded ‘yes’. Many thanks. LOL The interactions between Lilia and Sakura are always hilarious. Either way, thanks for the chapter! I wonder what would happen if Lilia hugged Tina in front of the prince, looked at him and say “She’s mine!” in a possessive voice. Because you made this comment, those of us who read the comments would suspect you if that scene really appears next chapter. I normally don’t like NTR, but I’m for Lilia NTRing Tina from the Prince. Thanks for the chapter, Jaon-sama! …. I don’t like this Tina girl….